What do the phrases ‘you cannot be serious!’; ‘pushing water uphill’; and ‘banging my head against a brick wall’ have in common? They are all phrases very likely to have been uttered by every CX professional ……on more than one occasion. The famous tennis player, John McEnroe, would often allow his passion for his trade to boil over in rage at the authorities – some would say that his behaviour was completely unacceptable. Others would say that his behaviour was a demonstration of his incessant will to win. Whatever the truth of the matter, the iconic and legendary sportsman often got frustrated with what he believed were the shortcomings of umpires. You could argue that the introduction of new technology was a vindication of his frustration! Mr McEnroe’s frustration is something that many professional people in their working lives can have sympathy with. We all experience interactions with management, or officials that we find ‘disagreeable’ and ‘wrong’. Many of us do not choose to vent our frustration in quite the same way as John McEnroe. Some do – but all too often we either turn a blind eye, or even give up altogether. 1. Politics – however hard we try, it is impossible to ignore the murky world of corporate politics. One board members idea is another board members hate. All too often, the decision of an organisation to drive a customer centric culture is not a collective one. If the whole organisation is not behind CX, the life of the CXP will be very difficult. 2. Influence – this is very much connected to point 1. For a CXP to be able to influence an organisation to drive their CX forward, the ability to influence at all levels of the organisation is critical. All too often, CXPs are introduced at a level that does not allow them to influence at the highest level of the organisation. They are often reporting into a board member whose influence they need to ‘borrow’ – if that influence bangs up against the political barrier – making change happen will be very hard. A CXP having a great relationship with the CEO is fantastic – but if the rest of the board are not supportive, your efforts will be scuppered. 3. Ownership – connected to point 2 (can you tell that all of these points are connected yet? ), many CXPs are independent of any operational process. In other words, they do not own the processes that deliver the customer experience. As a result, they are wholly dependent on their ability to influence change at all levels of the organisation – see points 1 & 2. Conversely, some CXPs are responsible for processes – commonly the customer service function. This does provide greater ability to influence change. However, this can also introduce greater political shenanigans and suspicion from other process owners – how can a CXP effectively and honestly mark their own homework? 4. Investment – a focus on customer experience suggests that an organisation wants to know how to improve to better satisfy customers’ needs and wants. In turn, this will lead to greater loyalty, greater revenue generation, and a more profitable business. To do this, an organisation needs to know the truth – from the customer perspective; just how good (or bad) does the customer think your processes really are? How do they think you need to improve the customer journey? Finding out the truth can often be a painful experience. Organisations can often learn that fundamental processes need to be re-designed. To do this will require investment – many organisations CX programmes fall short here – when they realise they do not have the funds (or the will) to invest in fixing the things customers want fixing. 5. Facts – all great CXPs operate in a world of fact – not judgement – plain fact. It is the facts that determine what an organisation needs to focus on to make the customer experience better – not in the eyes of the organisation, but in the eyes of the customer. All too often, organisations are not in full possession of the facts. They may be in possession of some of them – a few negative Tweets; complaints sent to the CEO – but these are regularly not completely representative of the customer base, or the end to end customer journey. As a result, instead of acting on the facts, organisations can fall foul of responding to judgement, or the angst of senior leaders who ‘feel’ that something needs to be done about something. Failure to act on the facts can be immensely frustrating for a CXP – the phrase ‘I told you so’ has also been muttered many times by CXPs the world over. It is also true to say that the truth can often hurt. It can often reveal the shortcomings of senior leaders. This often leads to behaviour that attempts to block the facts, and sometimes ‘disprove’ them. 6. Culture – a word that can make the eyebrows of HR directors curl – but a word that is a vital one in the fight to get organisations to focus on the customer. If the culture is not right, the ability of a CXP to really make a difference is seriously mitigated. Focussing on the customer is something that has to completely embed in the psyche of an organisation, and every individual who works within it. It has to be an organisation where every employee wakes up every day thinking how they can improve the experience for their customers. It is an organisation where employee’s efforts at meeting and exceeding customer expectations are recognised and rewarded. It is an organisation that does not accept anything else. Bruce Temkin (CX Transformist and co-founder of the CXPA)) once told me that the first thing he asks for when he visits an organisation is to see the last few agendas for board meetings. Why? Bruce wants to see if ‘the customer’ has been on the agenda. All too often, ‘the customer’ is missing. These are not just words – they mean it. A good friend of mine, David Conway (Chief Customer Officer at Nunwood), told me a story of a flight he experienced on Virgin America. A newly married couple boarded. The crew made them feel on top of the world. The captain came out of the cockpit to congratulate them. The experience was unlike David had ever seen on an airline. Virgin America was created with a customer experience culture – and they work to deliver this every single day. The point I am trying to make here is that the majority of CXPs are facing into at least these six barriers – POLITICS; INFLUENCE; OWNERSHIP; INVESTMENT; FACTS; CULTURE. There is more, but I do not want to set the violins playing any more than they may be already. Despite this, the passion, desire, and belief of CXPs worldwide has meant that the customer, and customer experience has become an integral part of almost every board conversation all over the world. The persistence of CXPs, as well as their insistence that organisations do the right thing has meant the world is changing – and fast. Customer experience is now being seen as not ‘just for Christmas’, but a true differentiator that can ensure the sustainability of an organisation. This is happening because CXPs will not turn a blind eye. CXPs cannot give up. There is a very long way to go. At times, being a lone CXP in a business that has all of the barriers I have discussed can be desolate. There are times when it would be all too easy to give up. The reason the CXP never gives up is that they are doing something that can never be doubted – the right thing. Our businesses exist to serve customers – without them we would not exist. It is all too obvious, but often forgotten. The way to keep going is to be heavily involved in the CX community. Talking to others who are experiencing the same things you are is essential. We have all been there – and will continue to be. 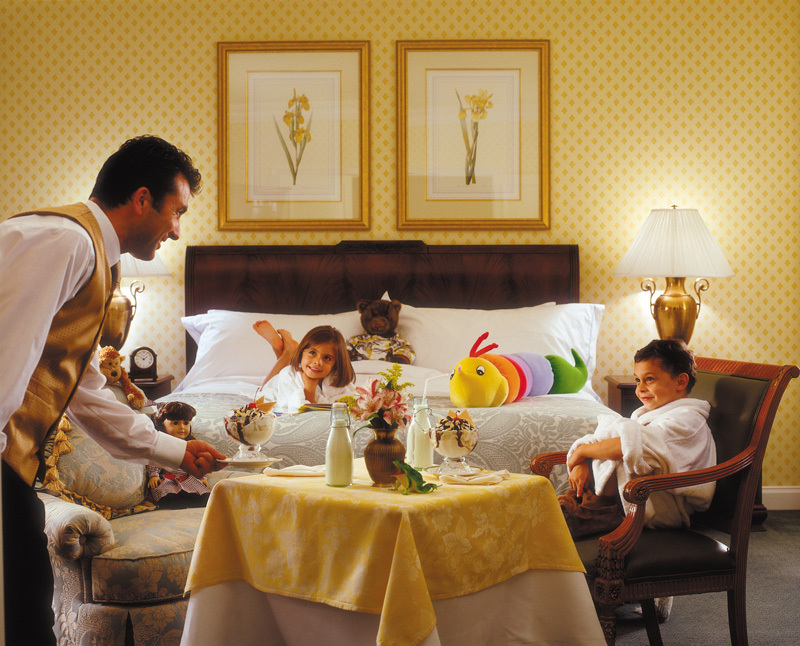 If every business was like the Ritz Carlton – the CX profession would probably not exist!! The CXPA (Customer Experience Professionals Association) is a very important part of my network – if you want to know more about it, have a look at the website, or contact me. http://www.cxpa.org/default.asp? As long as we continue to represent the customer our organisation exists to serve, and we base our efforts on the facts – sensitively and accurately – CXPs can continue to have faith that doing the right thing will win the day. Patience, tenacity and belief are three traits that sum up the CXP in 2012. You are very welcome to comment on any of my blogs. ‘We tried our best’ – is this statement ever good enough? If you live in Britain, you cannot fail to have been gripped by Olympic fever. Even if you have not been gripped by it, you will not have been able to avoid it. Olympic coverage is almost 24 hours a day, and with the medals rolling in, most Brits are delighted to ‘lap it up’. Sporting success certainly makes every nation extremely proud. Whether it is weightlifting, fencing, athletics or Greco-Roman wrestling; winning a medal of any colour at an Olympic games is a monumental achievement that us mere mortals can only dream about. However – for every athlete that is fortunate enough to win a medal, there are many more who do not. To be able to compete at an Olympic games, or on the global stage at any event, it goes without saying that a human being will have to demonstrate almost superhuman levels of commitment. It is no good waking up one morning and saying to yourself ‘I cannot be bothered today’ – procrastination does not work for world-class sports people. It is therefore very emotional to see athletes that have not quite made it to the podium, or not quite getting to the top step, being interviewed. In general, most of them will say that as long as they did everything in their power on the day, they could not ask for more. They tried their best – but sometimes their best is just not good enough. The picture at the start of this blog is of two British rowers – Zac Purchase and Mark Hunter – narrowly missing out on a gold medal – being consoled by Sir Steve Redgrave. These two amazing athletes were gold medallists in Beijing – and now they were heartbroken at missing out on another gold. The emotion and pain in their faces is all we need to know when it comes to considering if they ‘tried hard enough’ – of course they did. Sometimes your best is just not good enough on the day – but at least they gave it everything. Their picture, and interviews of other defeated athletes at London 2012, got me thinking about the analogy of customer experience failure. All of us have had experiences of dealing with organisations where things have not gone to plan. The delivery was late; the product was damaged; the installation did not work. We know things will go wrong – BUT – do we know if the organisations we interact with actually ‘tried their best’. Are we happy to accept failure if a business we deals with tried their best? Is their best actually good enough? ‘Sorry Mr Golding, we tried to deliver your parcel the other day (which contained Jack’s birthday present), but could not get there – we tried our best though’. I have just made this up, but if it had actually happened, would coming second best be good enough for me? Absolutely not. As consumers, we expect companies we spend our hard-earned money with, to behave like Olympic athletes – always striving to get to the to the top of the podium – every single time we interact with them. If they do not get to the top of the podium, then they need to try harder next time – that is what will be going through an Olympians mind. But in the analogy of customer experience – there may not be a next time if we choose to take our business elsewhere. There will be Olympians in London for whom this was the last time to compete at this level – they tried their best, but it was not good enough. When creating and embedding customer experience strategies, it is vital for companies to think like Olympians – striving for the gold medal – the silver is not good enough – cheesy, but absolutely true. The British culture – any culture – needs to learn from our Olympians – trying your best is admirable. For an Olympian, trying your best is what is expected. Being the best is what you strive for. 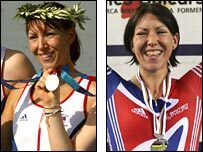 I am honoured ro know Rebecca – she is an amazing athlete – the first British Olympian to win medals in two different sports – a silver in Athens (2004) in rowing, and a gold in cycling in Beijing (2008). Rebecca did not quite make it in 2004 – her best (albeit an amazing achievement for you and me) was not quite good enough. So Rebecca changed sports, and got to the top step four years later – an incredible achievement. Rebecca had the confidence in her abilities to know that if she worked hard and focussed, she could be the best – she changed her strategy – to become the best. How many organisations could do the same thing with their focus on customer experience? The next time you interact with an organisation, consider whether or not their best is good enough. If you are a customer experience professional, re-look at your CX strategy and ask the same question. TALKING is easy. STARTING is harder….. but SUSTAINING is the hardest Customer Experience challenge of all! The customer feedback experience – an experience not to be taken for granted! 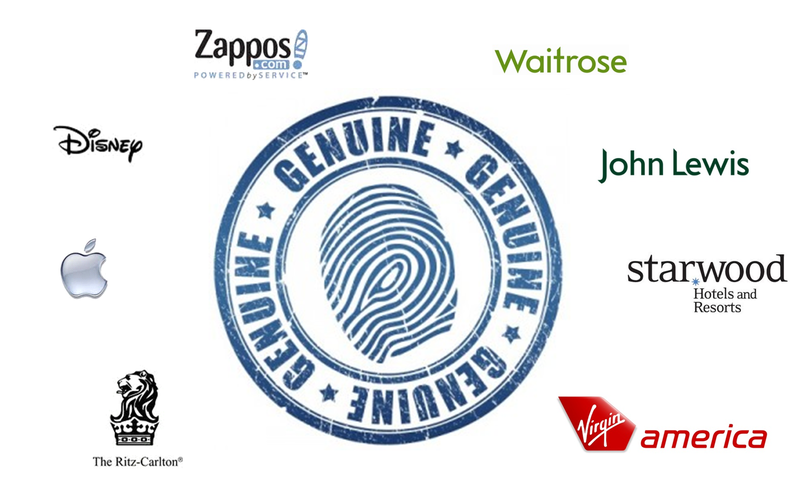 What makes the the worlds #1 Customer Experience brands?